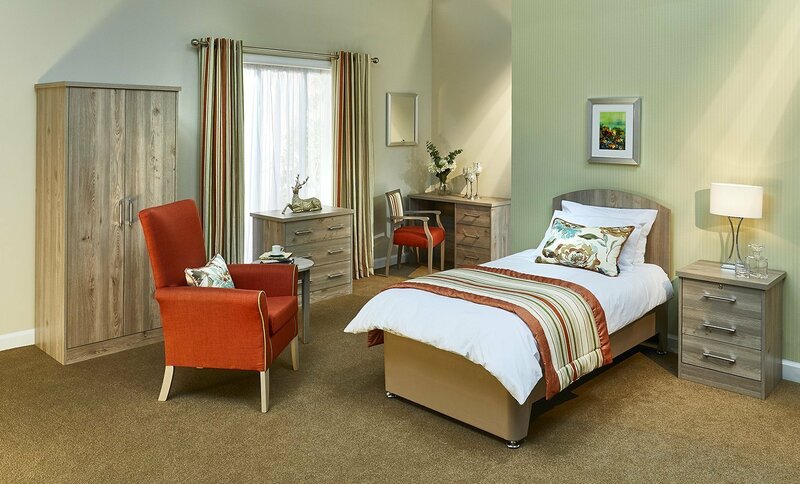 Inspirational roomset configurations, designed from the ground-up giving a complete package that harmonises interior design and practical furniture from Bedside Lamps to fully profiling Electric Beds for care communities. 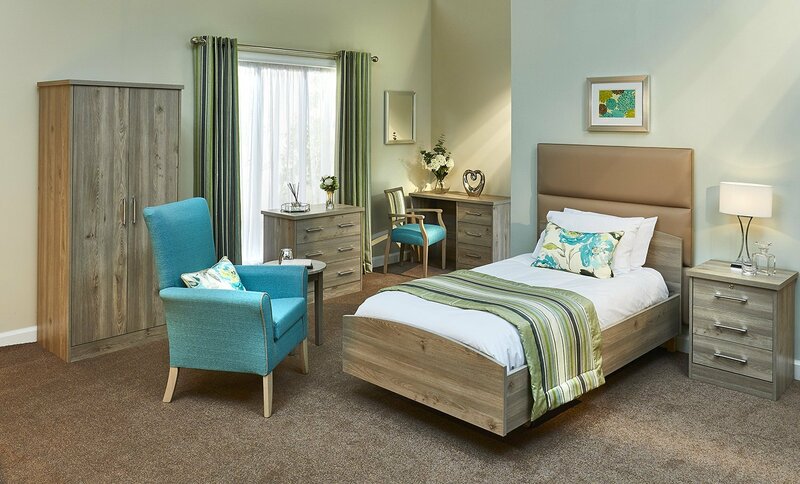 A contemporary and vibrant bedroom scheme that features our Tova Oak Stellan furniture. 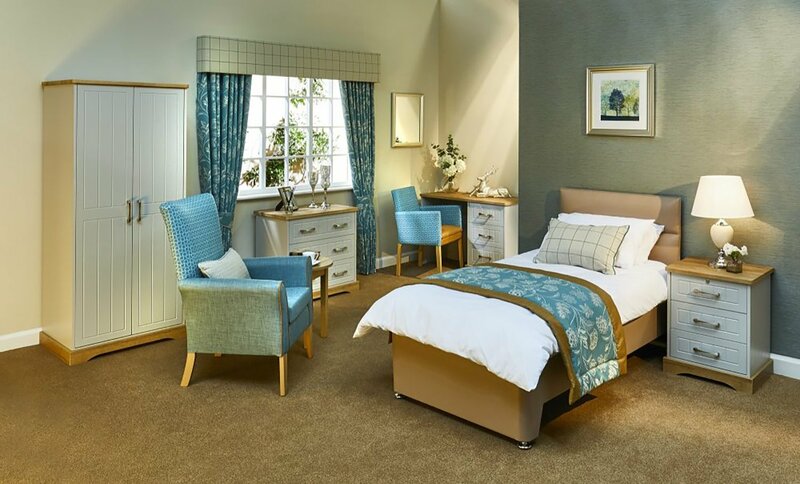 This scheme’s calming blue and green tones will suit a variety of care home styles. This burnt orange scheme has been designed as an effective solution to brightening up a bedroom and providing a timeless modern collection that will last. 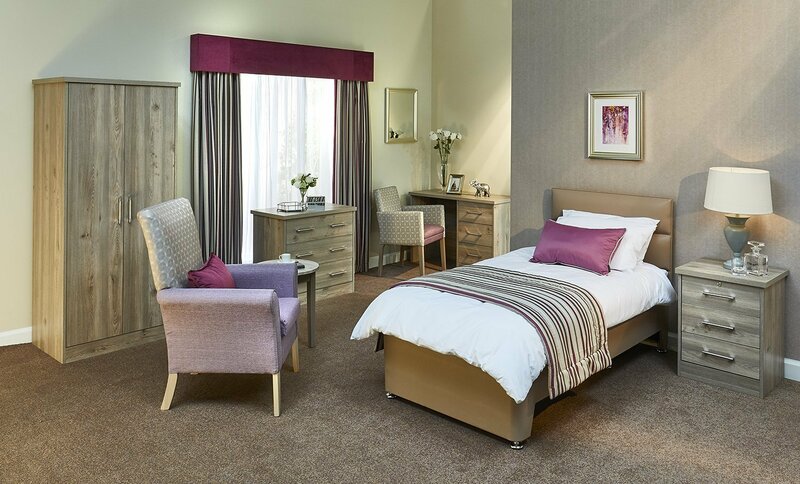 This scheme also features our Tova Oak Stellan furniture. Traditional fabrics have been combined with contemporary accents in this scheme to complement our Dawson range in the Nera Oak/ Grey. 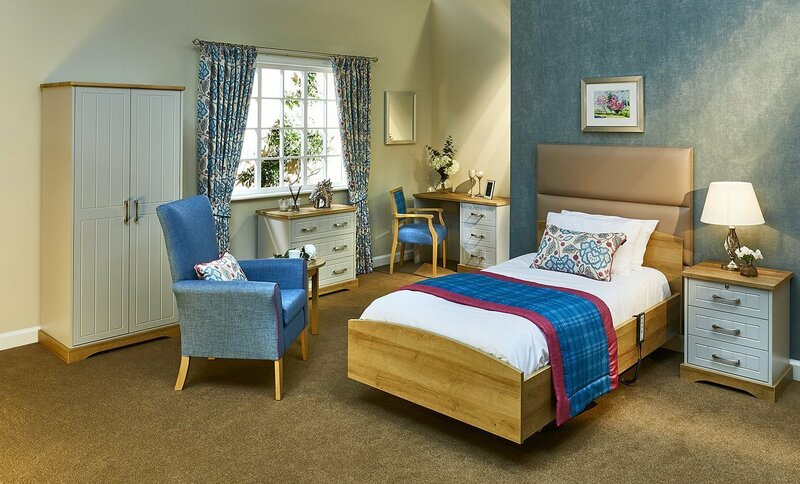 This scheme is perfect for a home that is looking to update their bedrooms whilst maintaining a traditional feel. 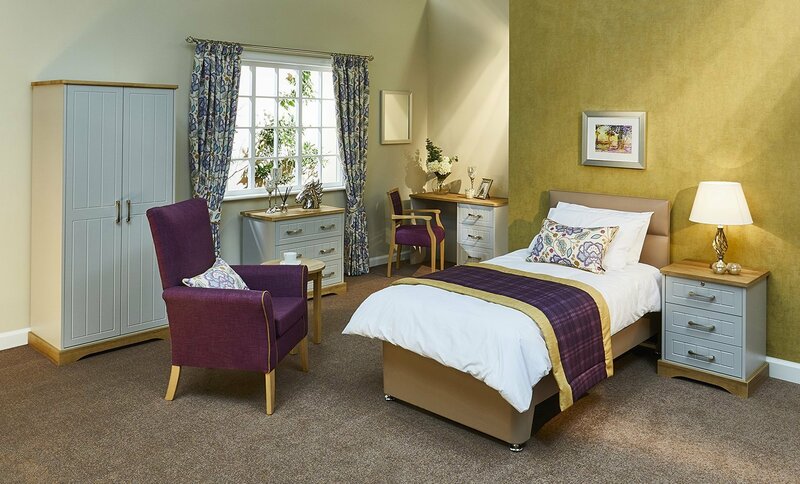 This scheme perfectly pairs with our Dawson range in the Nera Oak / Grey to enhance the care environment through a combination of fabrics which provide an updated palette with a luxury traditional feel. The damson and grape accents of this scheme provide a modern look, whilst the addition of the pelmet and the Perla tub chair add a touch of luxury to this scheme. 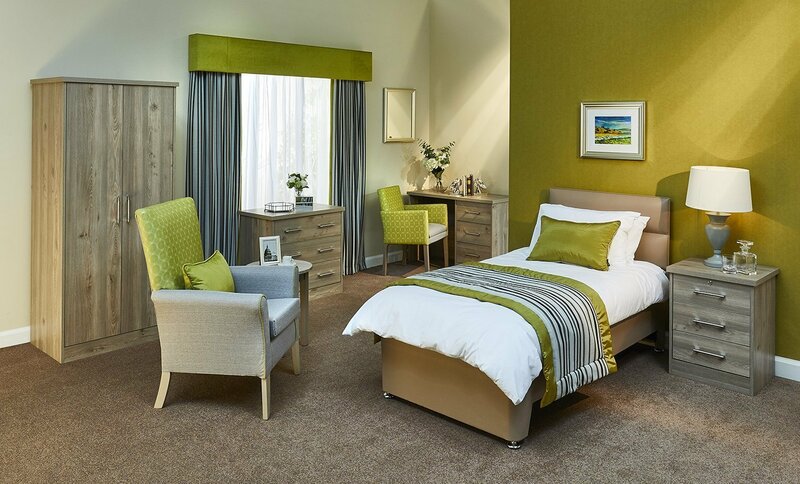 This scheme is ideally suited to any home that wants to update their bedrooms to a contemporary sophistication. The vibrant greens of this design perfectly offset the charcoal accents to provide a scheme that is both pleasing to the eye, but also in keeping with current trends. This collection is ideally suited for a gender-neutral room. This scheme has a traditional twist that showcases the complimenting patterns of the pelmet and curtains to provide a room that you will never tire of. 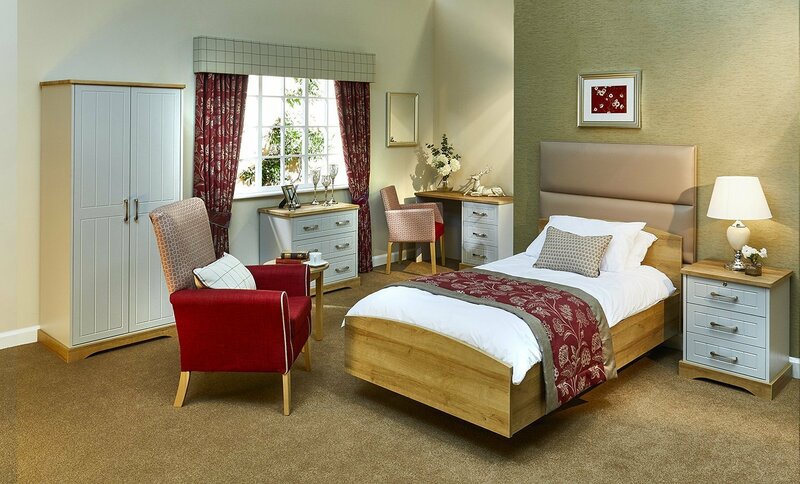 The deep reds of this scheme deliver a rich traditional image that compliments our Dawson range in the Nera Oak / Grey. The addition of the pelmet and Perla tub chair also supplies an added touch of luxury.